Mad as one Cincinnati player after another slipped and slid across home plate in the bottom of the sixth. McGraw’s Giants had been cruising through the dreary afternoon game against the homestanding Reds, holding a 2-0 lead going into the bottom of the sixth inning. Freddie Fitzsimmons was pitching well for the Giants. The right-hander had allowed only three hits in the first five innings. 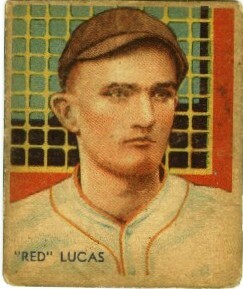 So had his counterpart, Red Lucas, who came off the mound after pitching a hitless top of the sixth to step into the batter’s box in the bottom of the frame. Lucas already had a hit off Fitzsimmons, in the third inning, and this time the pitcher smacked a deep fly to center fielder Freddie Lindstrom for the first out. It looked as if Fitz still had mastery of the Reds lineup. But just as the ball hit Lindstrom’s glove, a rainshower began. The Giants were eager to keep playing despite the rain. McGraw’s club was ending a soggy Western trip — St. Louis, Chicago, and Pittsburgh — where several games had been called because of inclement weather. All the games in Pittsburgh were rained out. The Giants already had 14 games postponed by rain in the young season.3 “The pitchers have lacked practice and the other members of the team have been worse than rusty,” The Sporting News wrote. “No team can expect to make headway when it spends four days in idleness watching the rain pelting down.” McGraw’s men were treading water near the bottom of the National League. The Giants sprang into action early, taking the lead in the first inning when Len Koenecke singled to the gap in left-center. With Bill Terry at the plate and two out, Koenecke burned a path toward second, successfully stealing the base and advancing to third when Reds catcher Clyde Manion threw low and the ball that got away from shortstop Leo Durocher. Terry then singled to left, and Koenecke scored to give the New Yorkers a 1-0 lead. The chief umpire, Klem, ran the players off the field. The game was delayed. The showers ended quickly, however, and the players went back to work. Lucas pitched his way out of the inning, and the Giants hurler continued his mastery over Reds hitters. “Fitzsimmons, usually a tough man for the Reds to do business with, was at the top of his form and our boys still were two tallies in arrears when they came to bat in the last of the sixth,” Jack Ryder wrote in the Cincinnati Enquirer. Fitz’s form, however, faltered in the sixth. After Lucas flied out, Taylor Douthit smacked a hard single that zipped off the Giants pitcher’s mitt and into center field.6 Lefty hitter George Grantham next pulled a double to right, sending Douthit to third. “Klem tried his best to let the teams finish the inning, but with [Chick] Hafey at bat, the Giants began to stall, insisting that time be called,” Ryder wrote in the Enquirer. Hafey stepped to the plate for the Reds, and Fitzsimmons was “sore as a boil,” Ryder said of the lack of control he had with the slick ball. Batting cleanup, Hafey took Fitzsimmons’ next rain-soaked offering and drove it deep, bouncing the ball off the top of the left-field fence. Douthit and Grantham scored, and the Redland Field scoreboard read Giants 2, Reds 2. As Hafey stood on second and Herman occupied third, the Giants intentionally walked Ernie Lombardi, pinch-hitting for Gilbert. Lombardi didn’t stay in the game long. Cliff Heathcote trotted in to take his place as a pinch-runner at first. Once again the bases were loaded and clouds grew more threatening. Heath, batting right around .200 for the season, smacked a timely single to center. Herman and Hafey raced home through the muddy basepaths to give the Reds a 4-2 advantage. Manion next hit a popup, and Giants catcher Shanty Hogan, taking advantage of the spacious Redland Field foul territory, settled under the ball for the second out. Manion’s popup, it may have seemed, punctured a cloud on its way up. Another hard rain splattered the field and Klem sent the players off for another weather delay. Since the incident, McGraw claimed “that every time the veteran arbiter ‘works’ a game where the Giants are concerned, he immediately assumes a churlish and domineering mood,” the Eagle wrote. As the rain slowed in Cincinnati, Klem called the teams back to the field. Fitzsimmons, still unable to regain the command he had in the first five innings, walked Durocher to again load the bases. Regardless the condition of the ball, Fitz lacked enough control to retire the redhead from Tennessee. Lucas punched a sharp single to center. Heathcote and Heath sloshed home, and the Reds had stormed back for six runs in the sixth to take a four-run lead. As soon as the inning was over, rain clouds dissipated and the sun popped through.12 Lucas continued his mastery of the Giants’ offense, and did not allow another hit. He retired 13 consecutive batters after Koenecke’s home run, allowed only three hits, and struck out three. To end it, Babe Herman made a smooth running catch in right to record the final out and secure a 6-2 Reds victory. The author used Baseball-Reference.com for box scores and play-by-play information. 1 Redland Field was the Reds’ home ballpark from 1912 to 1970. It was renamed Crosley Field in 1934. 2 Jimmy Powers, “It Never Rains but It Pours — Lucas, Reds Soak Giants, 6-2,” New York Daily News, May, 17, 1932: 37. 3 “Joe McCarthy’s Men Spurt After Dropping Double-Header; McGraw Protests of Bill Klem in Cincy,” The Sporting News, May 26, 1932: 1. 4 Jack Ryder, “Lucas Turns Back Giants for His Sixth Victory of Year,” Cincinnati Enquirer, May 17, 1932: 14. 6 John Drebinger, “Lucas of the Reds Sinks Giants, 6-2,” New York Times, May 17, 1932: 26. 10 “Joe McCarthy’s Men.” Health problems forced McGraw to resign as Giants manager on June 3. He died on February 25, 1934, of prostate cancer and uremia. He was 60. Source: Don Jensen’s SABR BioProject article on McGraw. Accessed June 14, 2018. sabr.org/bioproj/person/fef5035f. 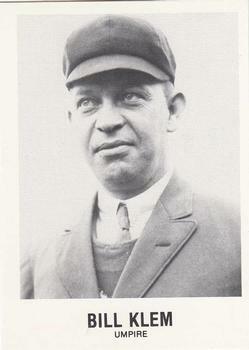 Bill Terry took over as Giants player-manager when McGraw announced his retirement on June 3, 1932. The team’s scheduled doubleheader against the Philadelphia Phillies at the Polo Grounds was rained out that day. Source: Fred Stein’s SABR BioProject essay on Terry. Accessed June 14, 2018. sabr.org/bioproj/person/4281b131. 11 Charles C. Alexander, John McGraw: A Giant in His Time (New York: Viking Press, 1988), 286. 12 “Klem’s Pride Is Target of McGraw’s Ire,” Brooklyn Daily Eagle,” May 17, 1932: 20. 14 Jack Ryder, “Giants Hammer Frey and Redlegs Go Down By 9-1 Score,” Cincinnati Enquirer, May 16, 1932.